Phantom Thread may be nominated for several Oscars this year, but the film does not have a fan in Oscar-winner Jennifer Lawrence. Lawrence said she could only sit through “about three minutes” before turning it off because the relationship in Phantom Thread hit a little too close to home. If you haven’t seen the movie, you’re probably like, “huh?” So let us explain. 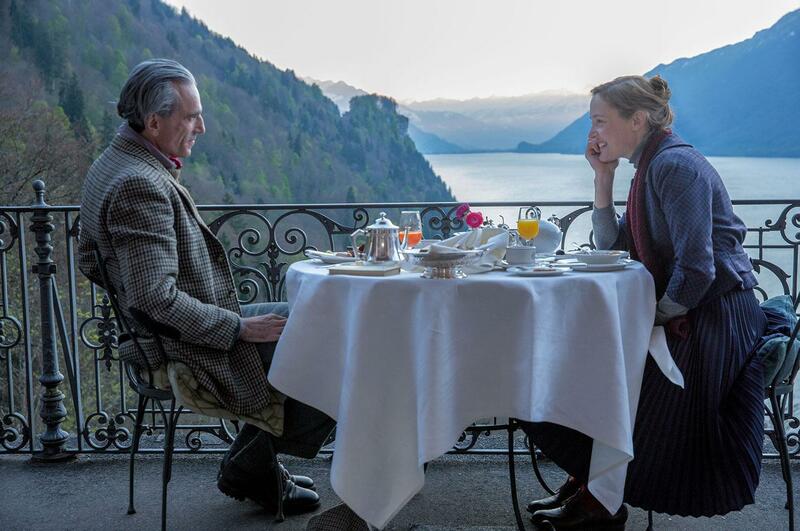 Phantom Thread could be called a romance, sure, but really it’s the story of a callous fashion designer, Reynolds Woodcock (Daniel Day-Lewis), who falls in “love” (we use the word “love” here lightly) with women who find him enchanting and then quickly tires of them, cuts away at their self-esteem, and discards them like leftover food. Lawrence described Day-Lewis’s character as a “narcissistic sociopath” and yes, that would be accurate. First of all, yikes. Lawrence was quick to point out that the “narcissistic sociopath” in her own life was not her most recent ex, Darren Aronofsky. Whoever this “artist” is that Lawrence speaks of, if he’s anything like the dude in Phantom Thread, we are glad she got the hell out of that relationship. Stay cool (and honest), Jennifer.